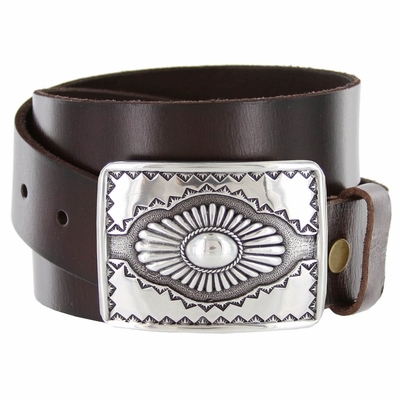 Sterling Silver plated Southwestern style Buckle snaps onto a Genuine Cowhide Leather Western Belt 1 1/2" wide belt. Buckle size approximately . 3" (wide) X 2 1/2" (High). Buckle Removable.